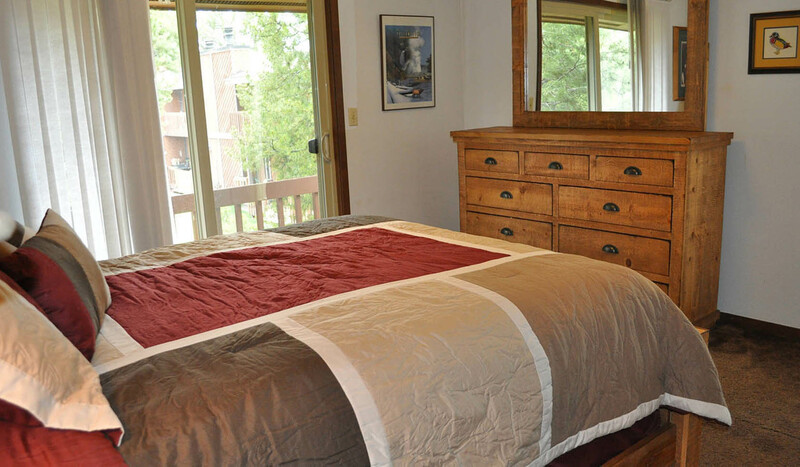 Four bedroom, in-town Townhome perfect for vacationers and fly fishermen. One block from downtown West Yellowstone and one-half mile from Yellowstone National Park Entrance. Only minutes from major, blue ribbon trout steams. All the amenities of home while enjoying the big sky of Montana. Features of the home include a fully furnished kitchen with all the necessary appliances; dishwasher, microwave, stove, refrigerator, toaster oven, crockpot, and coffee maker, to prepare meals or, if you prefer, you can walk 2 blocks to downtown West Yellowstone and enjoy the local restaurants. Along with the kitchen/dining room, the main level also has a spacious half bath and a cozy living room with a wood burning fireplace and sliding door to the porch and backyard. Upstairs there are two bedrooms (queen beds) and a full bath with shower/tub. The lower level includes a family room with a pull-out couch and a bunk bed (one twin and one double bed), a private bedroom (double bed), a full bath (shower) and laundry area with a full size washer and dryer. Towels and linens are provided. Angler's Rest will accommodate up to 8 people. West Yellowstone, with its small town atmosphere, is the perfect vacation destination for all sorts of outdoor activities, at all times of the year. Yellowstone national Park with its many wonders including Old Faithful and many geysers, lakes, waterfalls and abundant wildlife is regarded by many as the premier national park in the United States. The grandeur of nearby Grand Teton National Park is within a 2-hour drive.